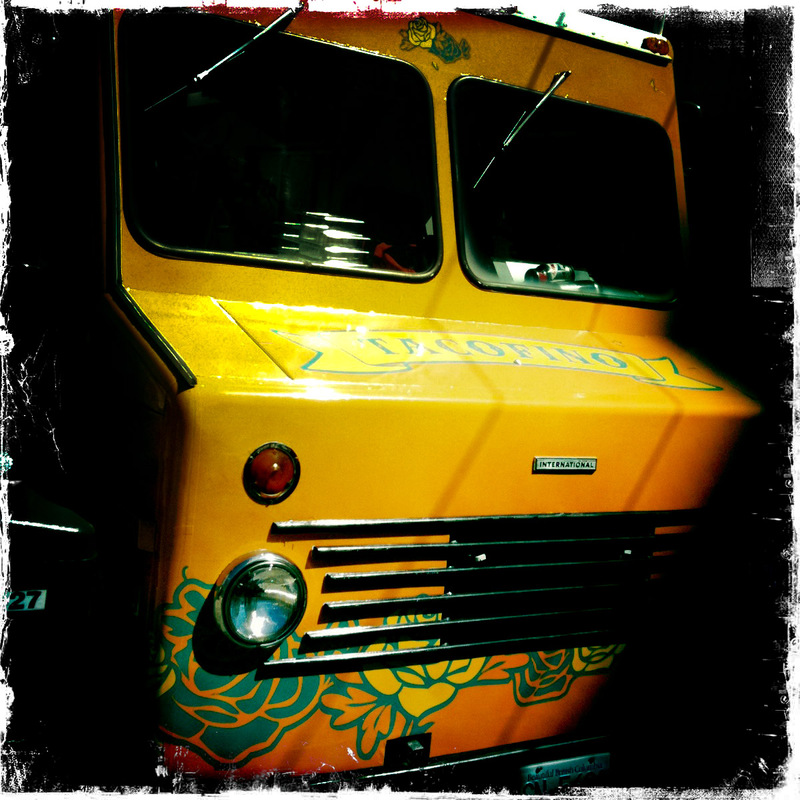 Once I start something, I’m all in and with food truckin’ it’s no different. 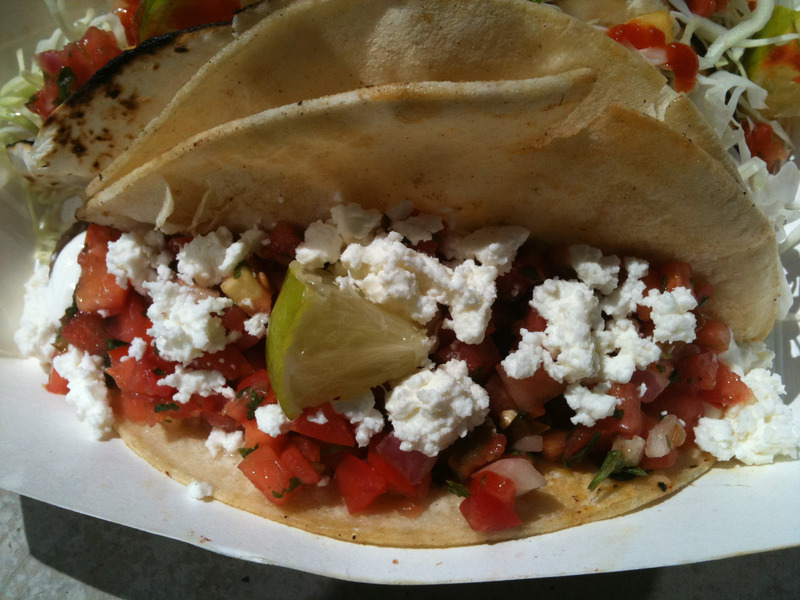 My second choice of food trucks to visit came as highly recommended as Fresh Local Wild by another friend. I was told “most delicious fish taco”, so with that in mind, I was off to Tacofino located outside the Art Gallery at Howe and Robson. I expected it to be busier on a hot & sunny lunch-hour, but the line-up was only a few deep which gave us enough time to strategize on how best to tackle the menu. 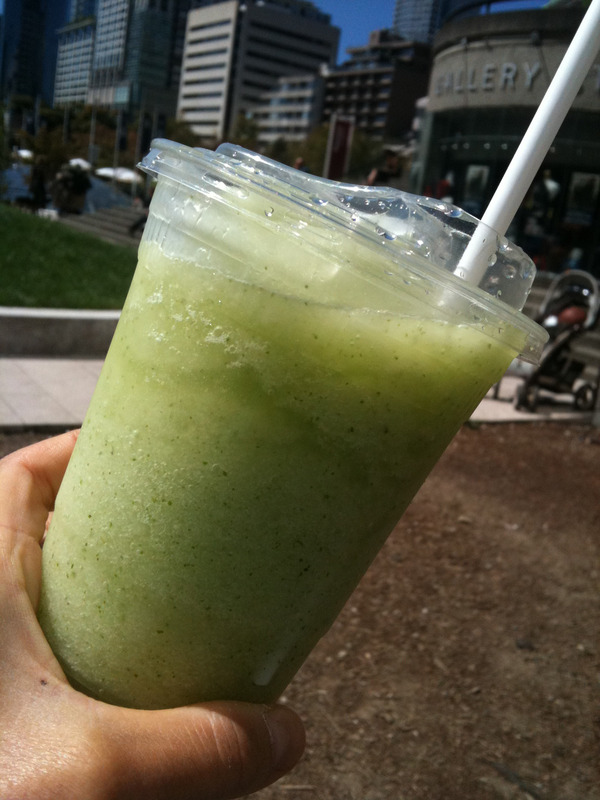 Blended lime freshie with mint – super refreshing on a hot day. Lightly tempura battered cod with chipotle mayo topped with finely shredded cabbage and salsa fresca. 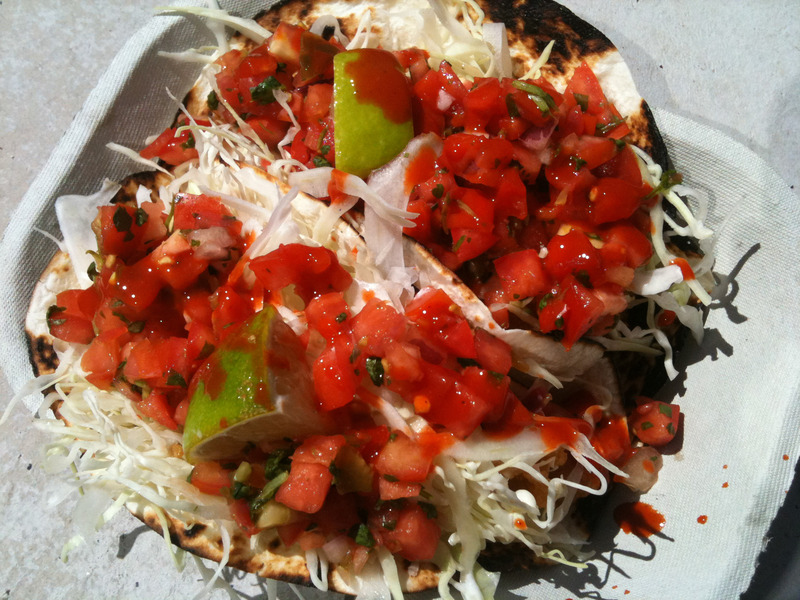 The crispy fried fish topped with the freshness of vegetables made for a satisfying combination that made me understand why this can be considered “the most delicious fish taco”. 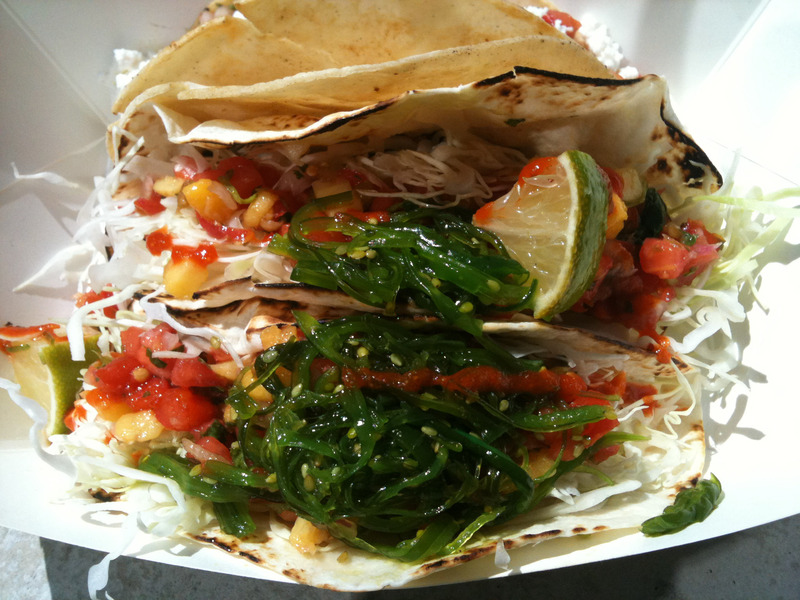 Another popular menu on the item, the ta-taco is named for the tuna tataki placed on a flour tortilla with wasabi mayo, shredded cabbage, mango salsa and seaweed salad. For an asian-style taco, this is one of the better ones I’ve had. When I suggested we order the black bean taco, my lunch partner looked at me like I was crazy. Like why would I order vegetarian when there were still meat options on the board to explore. For some reason, I pushed because I thought it was going to be really good. The verdict? I’m sure vegetarians would like this corn tortilla topped with black beans, salsa and feta but it left me feeling unsatisfied. Like it needed… meat. Let’s just say I didn’t hear the end of it for choosing the vegetarian option. 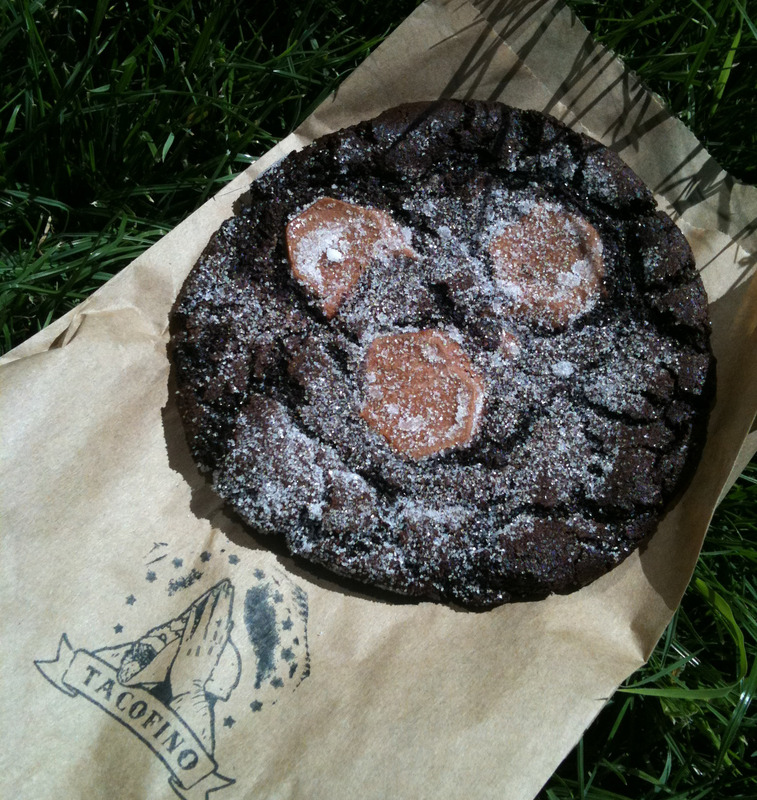 To finish off this wonderful lunch eaten on the grass outside the Art Gallery, I munched away on the Diablo cookie. The chewy chocolate-y cookie made zingy with cayenne and ginger lured me on my love for sweet and spicy. If I wasn’t convinced that Tacofino would become a regular spot before, this cookie definitely had me hooked.